How to get 4+ day hair! Do you spend endless time doing your twist out only to have fab hair for a day or sometimes even less if the weather is mess outside??? Well, I’m here to guide you in achieving 4+ day hair. Now, I don’t know if you all remember this picture? I was featured in Taren916 video at the Carols Daughter Macadamia Collection launch. She was baffled at how the fact that my hair was in fact a twist out and secondly that it was 4 day hair. 1. When I initially do my flat twist, I do them relatively small. To achieve this look, I made 9 flat twists going straight back. 2. To maintain my hairline, I use a silk scarf when I twist my hair. I use a little wrapping lotion or gel and slick back my edges. This is a trick I use to maintain a slick hairline. Sometimes, I will use this technique on day 3 to freshen up my edges. Works like a gem every time. 3. 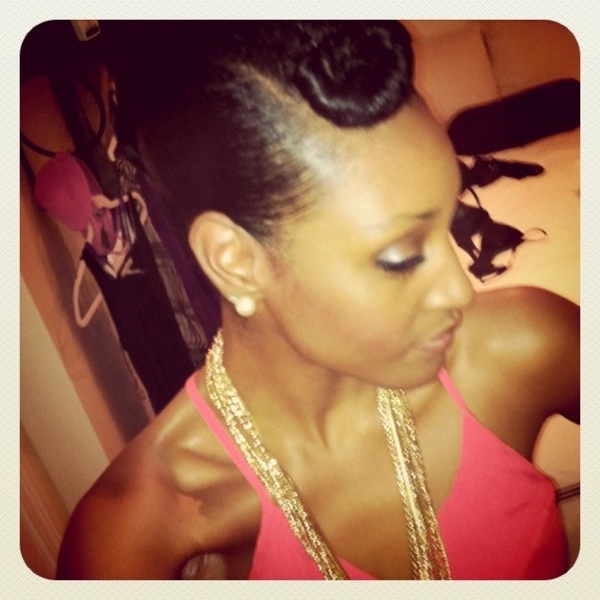 Wrapping lotion is my styler of choice for maintaining 4+ day hair. My hair loves this stuff! Now, this might now work for everyone. Try out cream based stylers first, as they tend to seal in moisture better and allow for long lasting twists. Experiment and find what works best for you. 4. I always, always, always sleep with a silk bonnet on my head at night. From the moment I walk into my apartment, I throw on my silk bonnet. I bring all my hair to the top of my head and then proceed to put on the bonnet. I do not secure my hair with anything as this crushes the natural curl pattern (in my opinion.) For others, the pineapple technique works great (using a pony tail holder to do a high pony tail and then placing the silk bonnet on hair). 5. Air drying is great if you have the time, but I find that a lot of stylers, specifically Miss Jessies products and all wrapping lotions give the BEST result when they are heat activated. I sit under a hooded dryer for at least and hour; then I air dry. The hooded dryer literally sets the hair and gives me defined curls that last for DAYS. 6. In the morning, I apply one pump of my wrapping lotion and use that to fluff hair and and style. 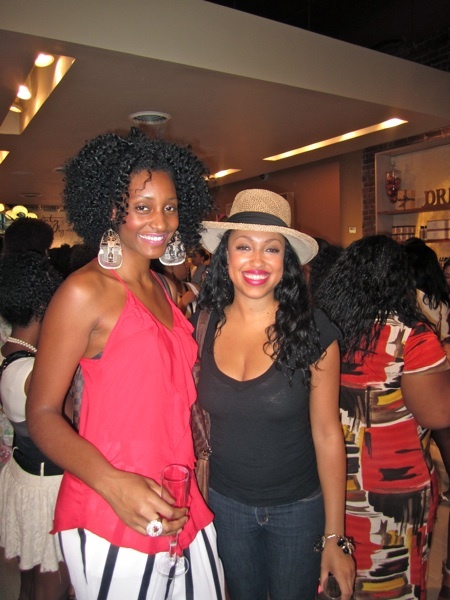 Using too much product daily, such as oils and moisturizers can start to weigh down hair and cause it to appear old. Keep the product application light and curls will last longer. 7. When unraveling twists, use your favorite gloss or oil to separate curls. I absolutely love the Fantasia IC Gloss. This stuff is amazing! It’s light and gives hair a beautiful shine. 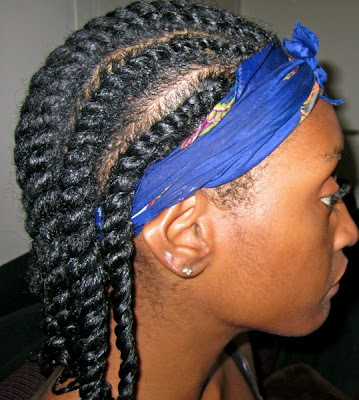 This also helps to eliminate any frizzing that can potentially occur while taking down twists. 8. I’m not the biggest proponent of re-twising; my hair just doesn’t love it. However, I have seen re-twisting do wonders for others. If after 4+ days your hair is beginning to lose definition, lightly spray hair with water and and proceed to twist in sections with a small amount of styler. Again, be certain that hair is completely dry before the take down process the next day. This look will not be as fresh and defined as the initial look, but it will give you a chunkier twist that can lead to 7 day hair. That’s all for now, curlies! How do you maintain your twist outs?? Please share below! Next Post Get this stylish tribal infused look! Love it! This was a great post. i recently have my sew in n reading this made me miss my hair already good tips! Hi Natasha! This is really a great tip on how to get 4 day hair, you're amazing and I love how you were able making a new hairstyle after 4 days.